The Beco Technic GmbH has been supplying professional products and complete workshop equipment for the production sector and aftersales service for watches and jewelry for more than 65 years. Since 1985 Beco Technic has been an official Bergeon distributor and sells top-quality tools and instruments made by the renowned Swiss company. 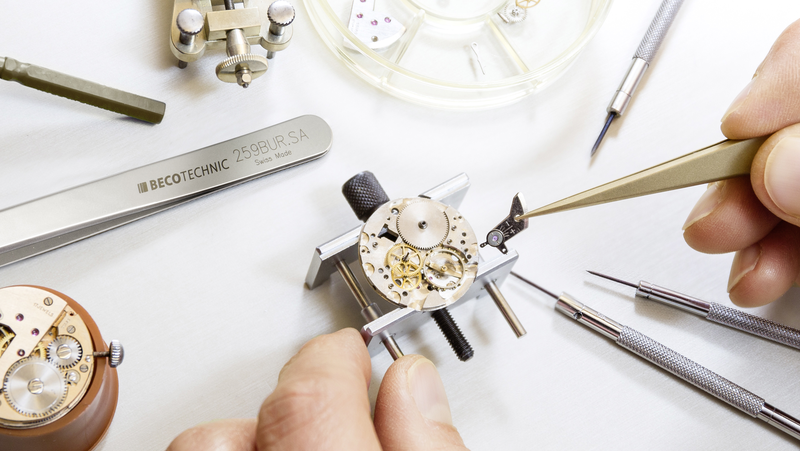 As the general agent for Witschi Beco Technic has been a partner of SAV and other manufacturing companies for 27 years and offers unique watch testing equipment as well as an extensive service. Regine Horlogery stands for finest precision tweezers handmade in Switzerland. Since 2011 Beco Technic has been the general agency for the complete product range of the computer-controlled engraving machines of the Magic series. As the Preferred Partner of the Sartorius Lab Instruments GmbH Beco Technic offers a wide range of Sartorius balances and an extensive service package. Beco Technic is core distributor for the complete range of Tanita gramm and carat scales.